Wax technology has come a long way. Now the Xerox Colorqube 8880 can go a blazing fast 51 pages a minute and is still super inexpensive for doing color prints. One of the things to consider if you choose to get a Xerox Colorqube printer is the different quality settings go at vastly different speeds. So if you need to go fast all the time, and have high quality color needs, this would be a bad printer for you. It may go as slow as 6 pages a minute. That is pretty scary slow, but the output looks amazing, so it is all a trade off. We sell Xerox Colorqube printers here in Denver and would love to help your company find the perfect color laser printer. 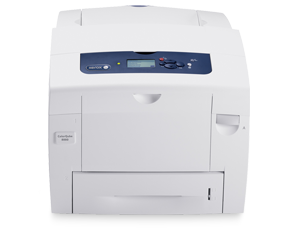 Give us a call if you are looking for a color printer here in Denver.